This video will be answering the question: "What is an IRS Summons?" An Internal Revenue Summons is an official order to produce information or provide testimony to aid in an IRS investigation. Summonses may be issued to the taxpayer being investigated or to third parties who may have information that the IRS wants to use in its investigation. If you receive a summons, you should immediately consult with a tax litigation attorney to determine what information you are required to produce, what arguments you have for refusing to disclose certain information, and whether you may incriminate yourself by producing certain information. Before you receive a summons, you should receive several other notices from the IRS, beginning with an Information Document Request. An IDR is a more informal notice, but will often be requesting the same information as the summons. The IRS would prefer that you respond and give them the information they want without requiring the issuance of an official summons, which can be enforced by a federal district court. If you do not respond to the summons the IRS will have to demonstrate to the court that the summons is necessary to obtain information that my be relevant to a legitimate investigation. The taxpayer will be asked to show why the summons is not proper, and a failure to respond to the summons after a district court orders it enforced will usually result in a citation for contempt which can include time in jail. It's difficult to say exactly how you should respond to a summons because each situation will present unique facts and circumstances. It is a challenge to fight the IRS on the validity of a summons, but it may be worth the effort if the IRS has overstepped its legal authority or the requested information is protected. In some cases, you may be well advised to simply give the IRS the information it wants. However, in other cases you may want to resist handing over the information because it may incriminate you. There may be other situations where information is protected by the attorney-client privilege. 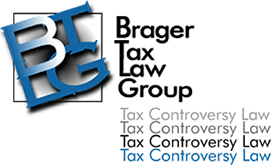 Most taxpayers will not be aware of all the factors they should consider before deciding to produce information, and a taxpayer should be accompanied by their attorney when being questioned by the IRS to be sure they are not inadvertently incriminating themselves, which could trigger a criminal tax investigation. Your tax attorney may also decide to record the interview with the IRS. If you do have arguments to contest the summons, you may also be able to negotiate with the IRS, rather than take your case to district court. This can save you time and money by avoiding litigation expenses. An IRS summons is NOT a notice that you want to ignore. It signals that the IRS is very serious about your case. Instead, contact a tax controversy attorney to develop a plan for handling your IRS summons.